What is the Linked Data Platform (LDP)? Why is the LDP important? What resource content notations and across-the-wire content serialization formats should be used? How is collision detection for updates handled with maximum concurrent (i.e. optimistically)? 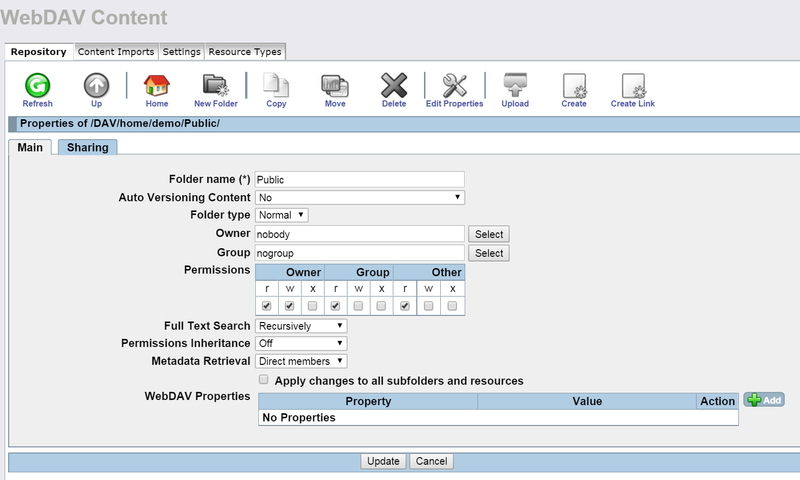 How do client handle changes to associated resources, such as content type changes? How servers ease the burden of constraints associated with resource creation? To which address/location (URL) on an HTTP network can I POST my resource member or container creation requests? How do I GET (retrieve) a list of existing member resources associated with a container? How is container ordering of member resources expressed and represented? How do I obtain metadata about the resources that are members of a container, and the container resource itself? How do I GET retrieve resources that are members of a large container, using paging? How do I deal with metadata querying scoped to member resources and container resources? The Linked Data Platform (LDP) was developed by W3C members to answer many of these questions. It formalizes Linked Data deployment and use by standardizing the representation and behavior of, and the generation and processing of HTTP requests regarding, Linked Data Platform Resources (LDPRs) and Linked Data Platform Containers (LDPCs). Using the Linked Data Platform thereby increases availability and accessibility of Linked Data on the Web. 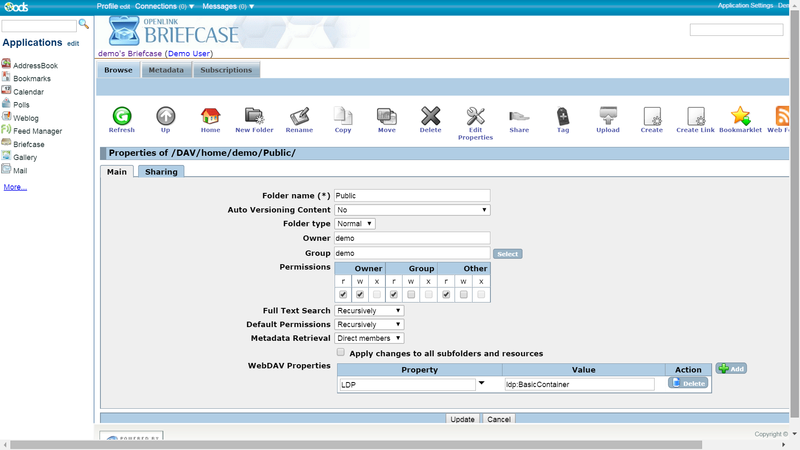 Virtuoso's LDP functionality is a built-in, integral part of the product. 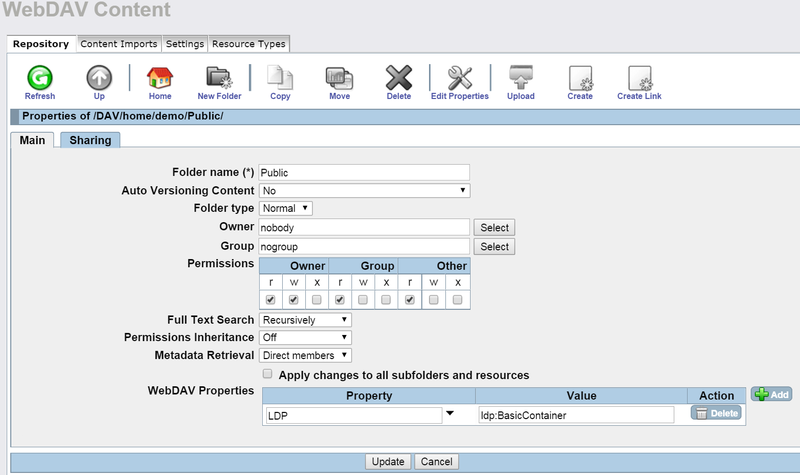 Virtuoso operates as an LDP Client, generating HTTP requests and processing HTTP responses that conform to the rules defined for LDPRs and LDPCs, when it is operating against LDP Servers. Virtuoso also operates as an LDP Server, by processing HTTP requests and generating HTTP responses that conform to the rules defined for LDPRs and LDPCs. The following examples use the commandline utility curl to demonstrate Virtuoso's LDP Server implementation. Write a bit of text ("This content is not Turtle." in this example) to a text file ("test2.txt") in DAV. <H1>Created</H1>Resource /DAV/test2.txt has been created. :book2  <http://purl.org/dc/elements/1.1/title>  "The Semantic Web"
<H1>Created</H1>Resource /DAV/test4.ttl has been created.